It’s been almost two and a half years, but we finally have the next part in the StarCraft II “trilogy”. StarCraft II: Heart of the Swarm, focuses on the Zerg side of things and continues the story that Wings of Liberty started. Two years after the release of Wings of Liberty, you’ll partake in the story through the eyes of Sarah Kerrigan. After being rescued by Jim Raynor in Wings of Liberty, you’ll continue on with Sarah being the center of most of the missions. Now, some people might get confused with how Jim and Sarah are towards each other, acting like star crossed lovers who have been away from each other far too long, especially with how Jim’s reaction was in Brood Wars when he vowed to kill the Queen of Blades. Well, it seems things have calmed down a lot between the two and the book, Flashpoint, explains a lot of what made the two become so lovey dovey. For those that haven’t read the book, like me who had to do a little research, this little bit of the story would be pretty confusing. But, that’s OK because a lot of the story doesn’t really make sense. Along the way you'll go from rescuing Jim to unleashing your wrath on Arcturus Mengsk while revealing an ancient enemy that's sure to be in the next game. The game’s still a great deal of fun, but don’t go in it thinking it’s got a nicely tight story. 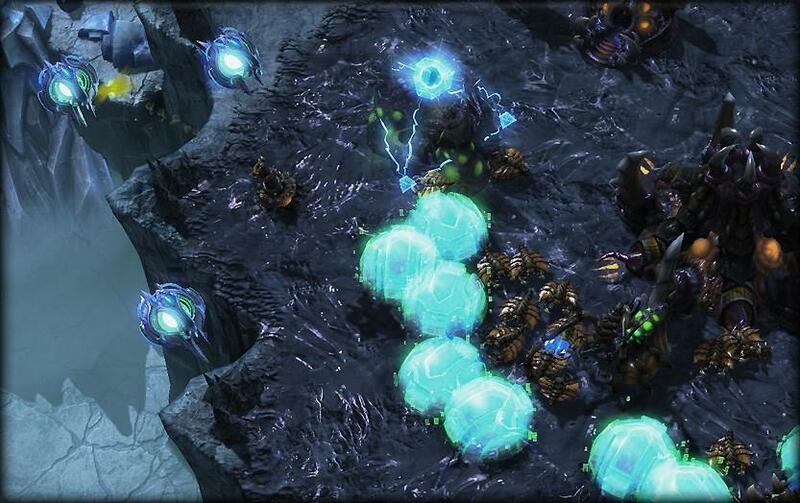 Heart of the Swarm continues the RTS adventure style that was developed in Wings of Liberty. You won’t play missions that are just about building bases and attacking the enemy. A lot of variety is thrown in to keep the single player interesting. For example, one of the earlier missions has you and Jim along with some colleagues defending a transport from attack. You’ll have to make sure the engines don’t get destroyed by the Dominion forces. In that mission, you just control Sarah and unleash her abilities on the Dominion rather than a group of soldiers. You won’t just be controlling the Zerg as there’s a mission thrown in that takes place in space and you pilot Raynor’s Hyperion spaceship upgrading it as you go along and taking out the base of a mercenary. All told, Blizzard did a good job in mixing it up a bit and not having you do base building missions. As you progress through the game, you’ll have opportunities to upgrade your units and Kerrigan via side missions and evolution missions. Each mission offers up secondary objectives than can help increase Kerrigan’s level, which can lead to new passive and active abilities. One of my most used ones for Kerrigan is the ability to spawn banelings. But, here’s where it gets a little interesting. I completed an evolution mission that upgraded my banelings to have a jumping ability. This made them pretty formidable and those banelings that I conjure up increased their usefulness through an evolution mission. WIth the evolution missions, you get the option of choosing between two different “strains” that will improve your units in a certain way. As mentioned earlier, my banelings acquired the ability to jump. You are stuck with the evolution that you decide on, but each mission lets you test the evolution so you can make a decision on what you want to use. These evolutions work in conjunction with one of three abilities you can assign to them offering up a nice variety to play with. These evolution can help in making your units more deadly and offer a little replay value as you can go back through the story trying a different “strain”. 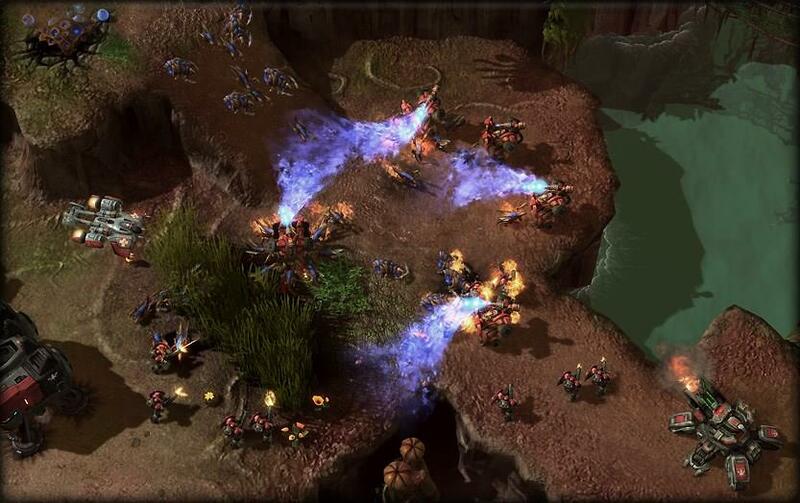 I did find that Heart of the Swarm seems more focused on land based battles with little on air units. 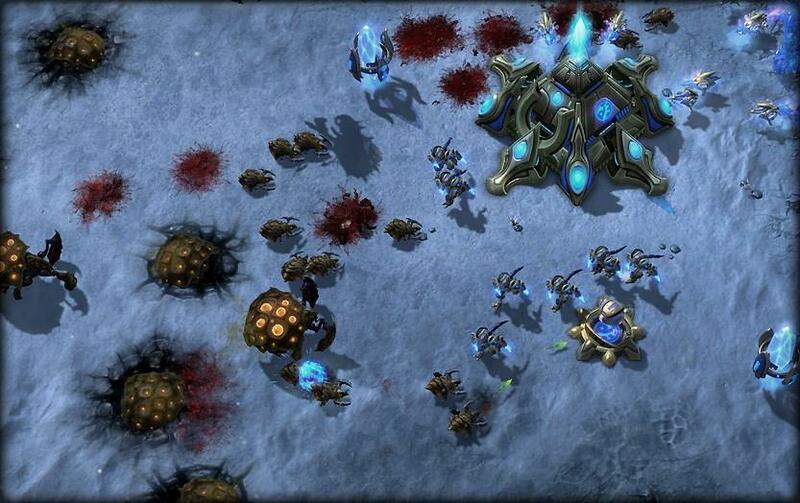 Yes, I did meet some, but for the most part, the battles between the Terran and Protoss emphasized ground attacks. Now, one Protoss based mission did have me taking down 8 cruisers but they only had a few escorts with them, not enough to pose a threat in the air. Sprinkled throughout the campaign are a few boss battles. Some menace will be in your way and you’ll have to take them down with all your forces. Like a lot of bosses, some will have a certain pattern they adhere to and its your job to recognize them in order to take advantage of when they will be at their weakest. 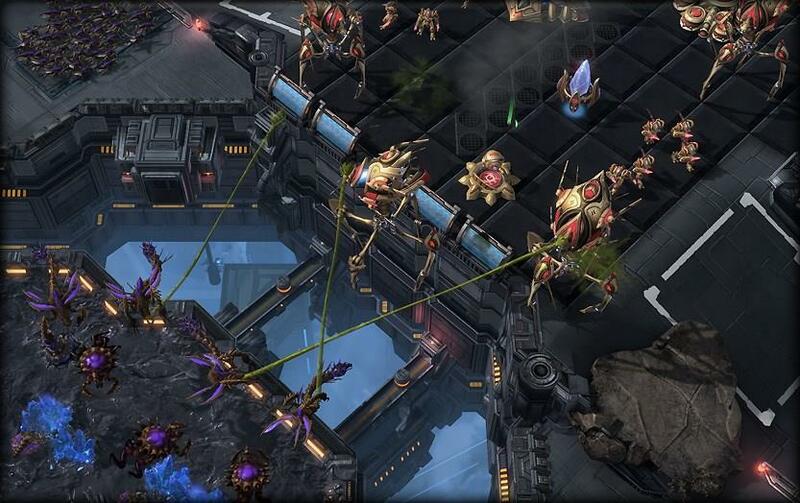 Throwing in some small boss battles helps break up the monotony of fighting the various Terrans, Protoss, and primitive Zerg troops you’ll run into. Most of the time, you will be controlling Kerrigan as she tries to exact her vengeance on Arcturus Mengsk. She is very powerful and has some nice unique abilities such as being able to send lightning attacks against multiple targets or doing a jumping attack on unsuspecting foes. There’s one little issue I did have with her though. Whenever she is on screen and you are controlling here, I rarely felt threatened. The only times where I didn’t think I could complete a mission was if I took too long on some timed missions or I was asked to control an army without her. She makes the game fairly easy, which is good and bad. It’s good for those that aren’t that familiar or good at RTS games. For those that are veterans, I highly recommend upping the difficulty from normal so that you do get challenged. Heart of the Swarm does continue the tradition of an extremely polished user interface as well as producing some incredibly detailed cut scenes. The story isn’t that strong and there were instances where I got tired of all the exposition, but visually they are top notch. The graphics in Heart of the Swarm seem a little more refined and the game ran pretty smooth on my i7 3600K CPU along with a GeForce GTX 580 GPU. I do love the artists that Blizzard employs as they do some of the best character design work out there in my opinion. I really enjoyed the variety and unique designs they came up with fo the various Zerg units and characters. As with the visuals, the sound in the game is solid and there are some really good voice actors in the game. There are also some that grind my gears, but for the most part, the voice acting enhances the character’s unique designs. 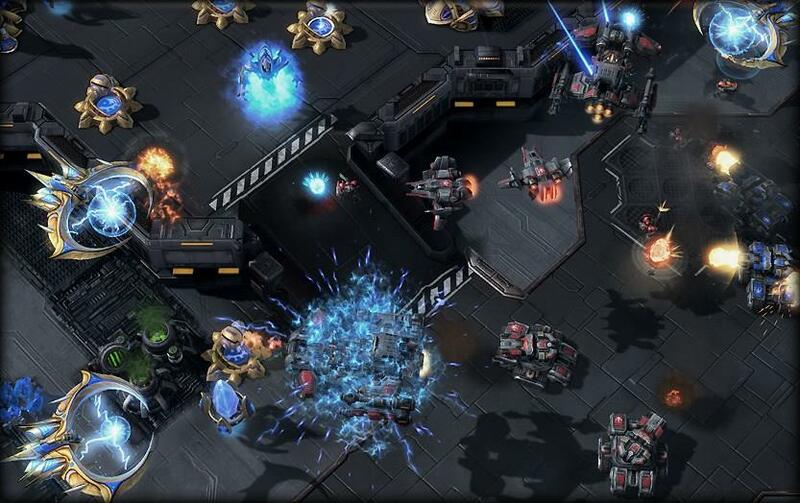 I’m haven’t been a big StarCraft multiplayer guy since the first game, so I admit I’m not that adept in talking about the new units and tweaks they’ve done since Wings of Liberty. At least Blizzard keeps tweaking and introducing improvements into the multiplayer portion of the game, the feature that keeps the game going. New units are always welcomed, but I’ll leave it to the more experienced players to see if they are a good addition to the series. It took me a few missions to get into how the Zergs played again. More traditional sides have you building up resources in order to spawn units from a certain building. I kept forgetting that larvae are constantly spewing out of the lair and that a lot of what make the Zerg dangerous is their speed at which they can produce. Yes, you still need Vespene Gas and minerals to produce units, but the Zerg way lets you play a little bit faster than the other two races. After a few missions, I was churning them out like crazy and the Zerg rush was in place. The game, as I said earlier, ran pretty well on my computer, but there were a few random crashes here and there. Also, the game had really long load times, even with it installed in my SSD. I haven't experienced load times like this since I was on a traditional hard drive. I don't understand why it would take so long, but the load times for Heart of the Swarm is definitely annoying. 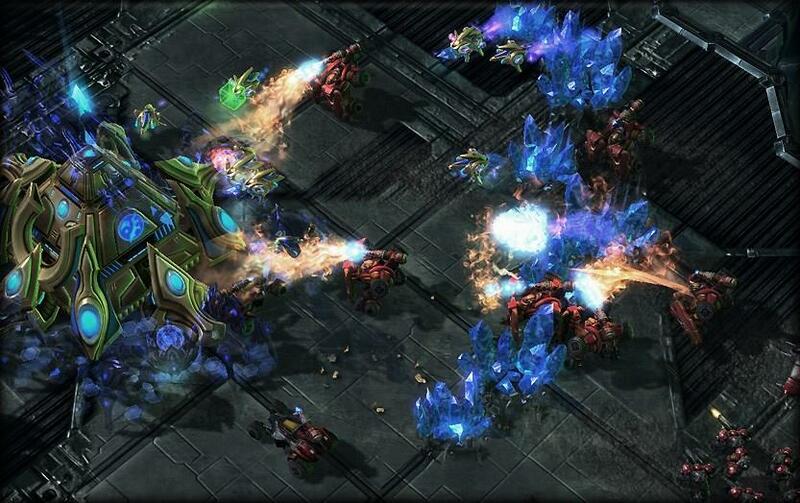 All told, the Heart of the Swarm is a nice expansion pack for StarCraft II. You get a fun little single player campaign comprised of about 20 missions and additional updates to the multiplayer area. Some will be disappointed by the length of the single player mission, but I had a fun time going through them. Heart of the Swarm seems like a nice expansion pack to introduce or reintroduce those into the RTS genre as it’s not too difficult and you get to play with a race that’s pretty unique. It’s priced a little more than most expansions at $39.99 and it did take a few years to get here, so some of the luster has worn off because of time. Let’s hope the time to Legacy of the Void isn’t as long as the time between the first two. 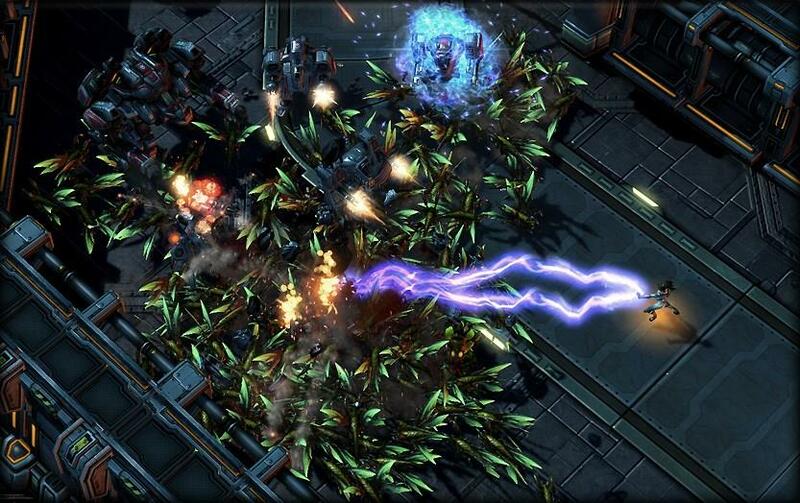 Heart of the Swarm delivers a fun single player experience and updates to the multiplayer portion of the game. It took a while to get here and the 20 or so missions available is a little shorter experience that I would've liked for waiting two and a half years. The graphics are good and the cut scenes are amazing to watch.